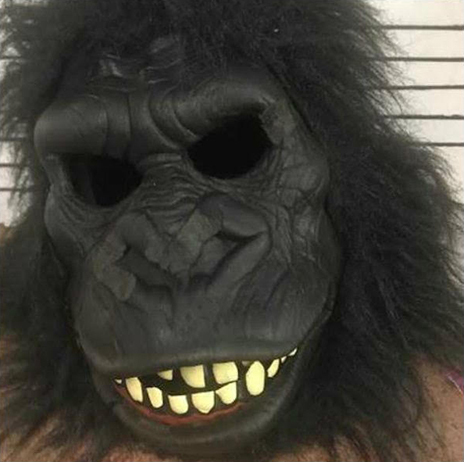 FEBRUARY 21--A man wearing a gorilla costume last week broke into a Louisiana residence, according to cops who fought with the suspect after finding him hiding under a mattress. 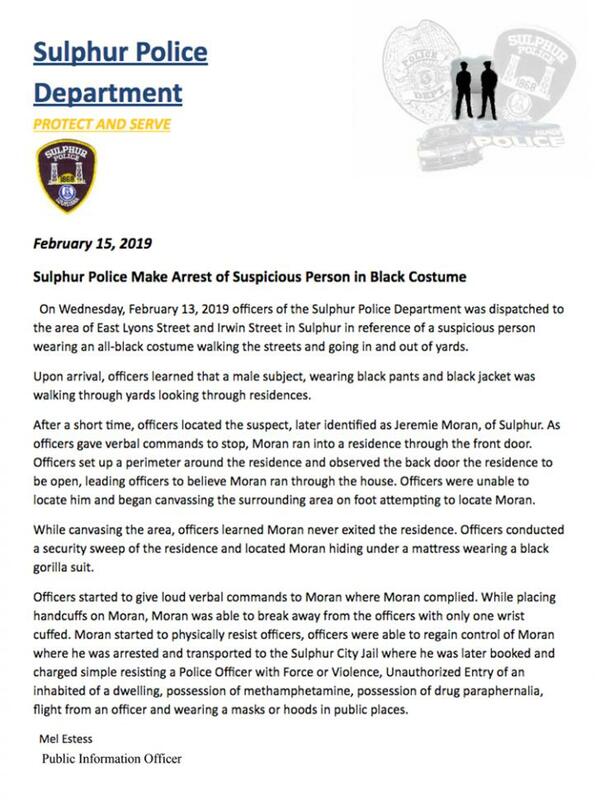 Police in Sulphur, a city about 20 miles east of the Texas border, responded Wednesday evening to a call about a suspicious man--dressed in an all-black outfit--prowling around homes and peering into windows. 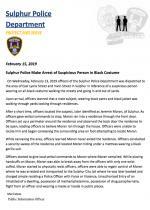 When officers located the suspect--later identified as Jeremie Joseph Moran, 34--he fled into a nearby residence, ignoring police demands to stop. During a subsequent search of the home, cops found Moran (seen above) beneath a mattress. 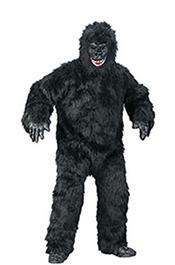 He was wearing a "black gorilla suit" at the time, investigators say. Moran tussled with cops trying to handcuff him, but he was eventually subdued and placed under arrest. 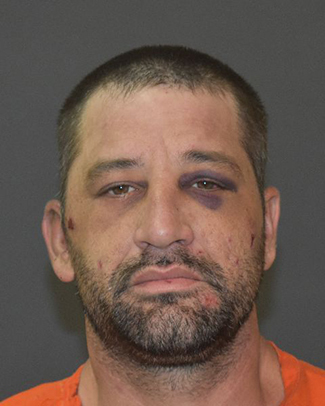 He was charged with multiple offenses, including unauthorized entry of an inhabited dwelling, methamphetamine possession, resisting a police officer with violence or force, and wearing a mask or hood in public. Moran, who lives in the neighboring city of Vinton, remains caged on the felony and misdemeanor counts at the Calcasieu Correctional Center.